Hi All. I have been reading the varoius restoration threads on Shermans. Living in Scotland, a Sherman is a rare sight to me, the M50 at Eden Camp in Yorkshire being the only example I have seen in the UK. 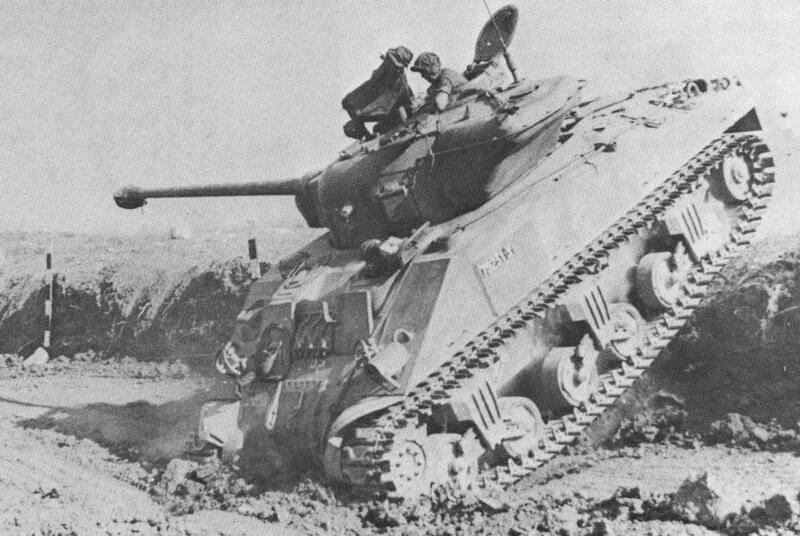 While looking at Shermans on various websites tonight, one in the States mentioned that their Sherman M50 had actually started life as an M4A4 and had served with the British Army. So could the example in Eden Camp also be ex British, and how different is it from original? I notice that the suspention is the easy eight (?) type and that the gun is different. The M4A4 was a lend-lease version. The M50 is actually an Israeli upgrade from the early 1960s. It was originally fitted with a Continental R975 petrol power plant, later versions had a Cummins V8 460 bhp diesel. It had a Firefly turret and a French main gun, which was a development of the German 75mm KwK42 L/70 originally fitted to Panther tanks. About 300 units were built. 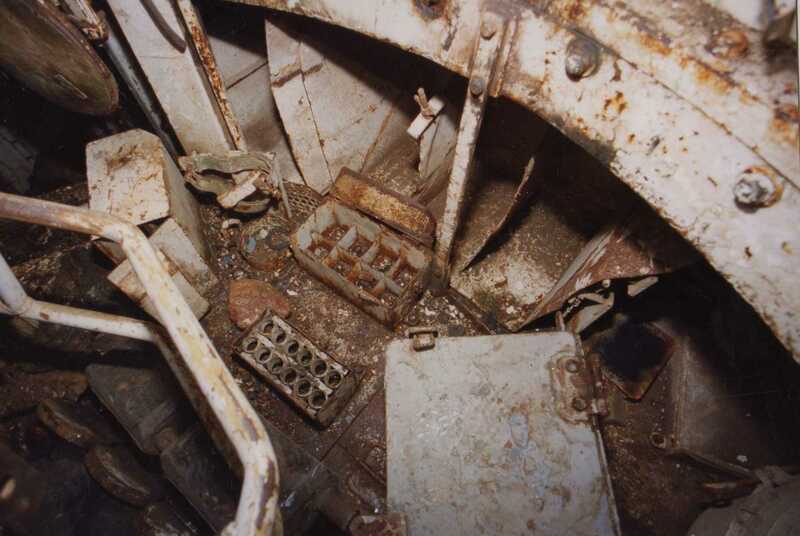 A lot of M50s were built on an M4A4 hull, the Eden Camp being one of them. 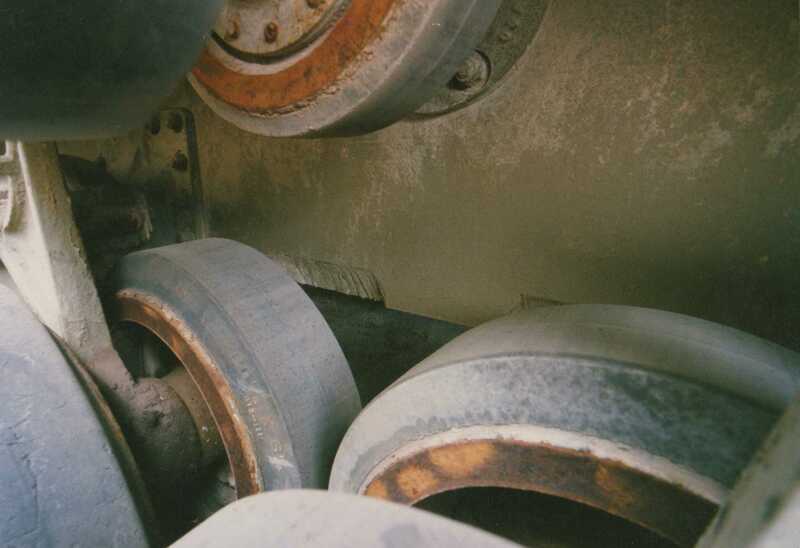 The giveaway is the gap between the tyres on adjacent bogies. Due to the M4A4 hull being longer, the gap is about 8". 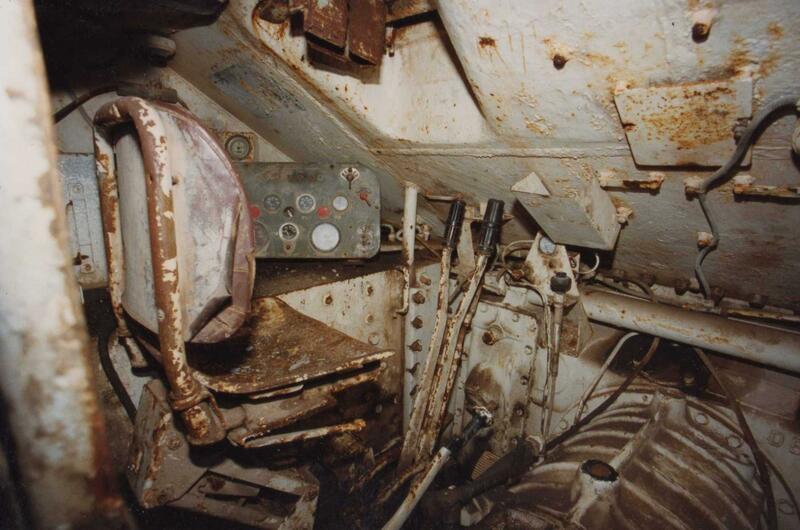 A 'normal' Sherman has a gap of about 2". The M50 conversion is very indepth. 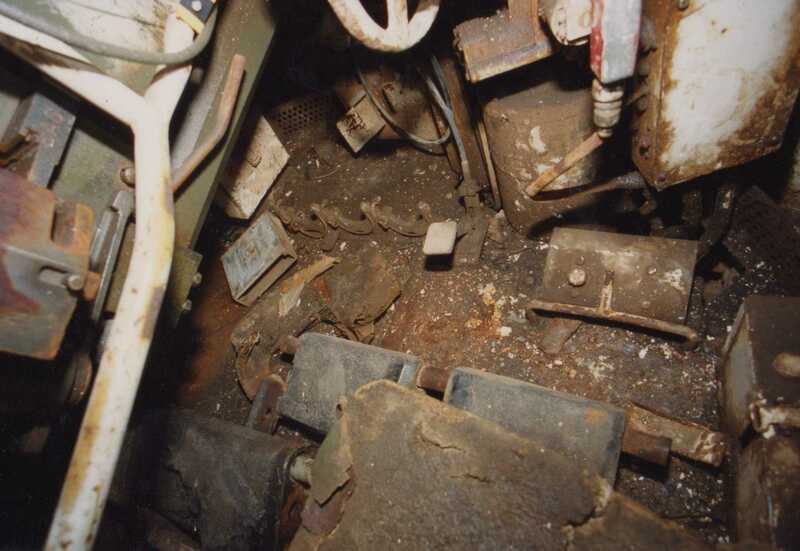 Engine and hull to match, turret, suspension, ammo stowage etc. etc. It can be done, we coverted one back for a US collector but it is a big job. Adrian Barrell The M50 conversion is very indepth. ... we coverted one back for a US collector but it is a big job. Yes it would be -one ended up returret with an 105mm howitzer and turret- not convincing. Personally although the demand is for WW2 Shermans I would be happy with a M50 or M51:D. great conversion lots of history. The M4A4 was a lend-lease version. The M50 is actually an Israeli upgrade from the early 1960s. It was originally fitted with a Continental R975 petrol power plant, later versions had a Cummins V8 460 bhp diesel. 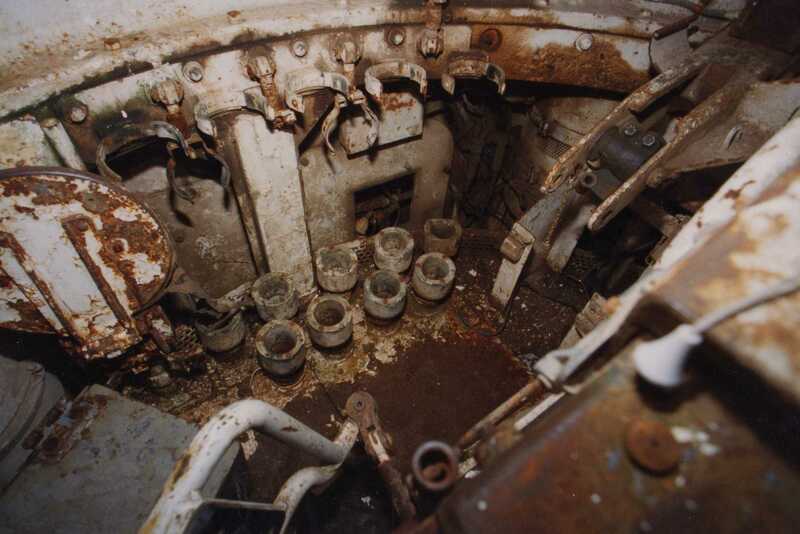 The Ist series of about 60 M50 were built using Sherman V -which were variously sourced. The ones used in November 1956 were completed by the french from ex MAPD french M4A4(T) which were Sherman V recently (1951-52) converted from stocks of multibank engined Sherman V taken over from the British. 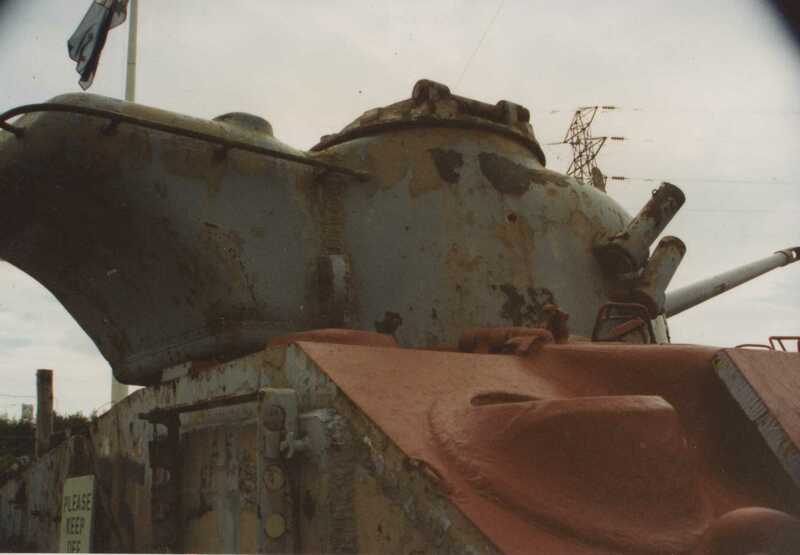 (There is an example of a Transforme Sherman V on the restorations thread). Probably to avoid MAPD scrutiny the French claimed they had assisted in converting existing Israeli stocks- which to some extent is true French technicians did assist the Isaelis in rationising their Shermans to the radial configuration, they also supplied gun mounts and counter balance castings to Israel to convince the USA that they weren't supplying complete tanks against MAPD end use regulations. 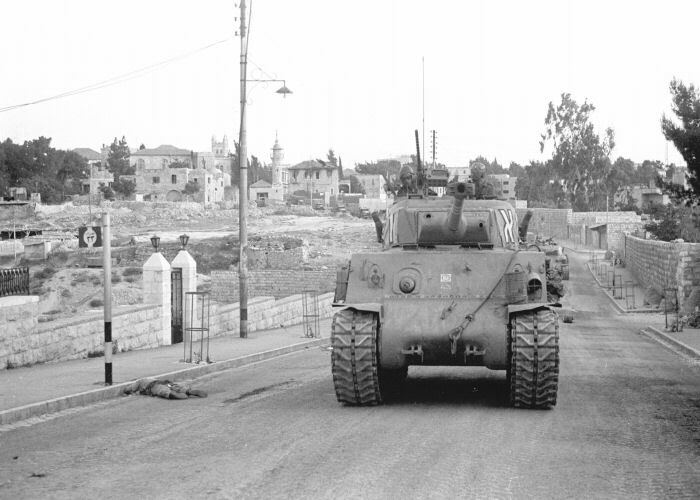 Imediately prior to the outbreak of the 1956 war a batch of 60 M50 conversions and 60 M4A1 76 tanks were supplied as an emergency measure covertly landing the tanks by night in Israel often from LSTs. little wonder the USA went ballistic when they found out what had gone on. 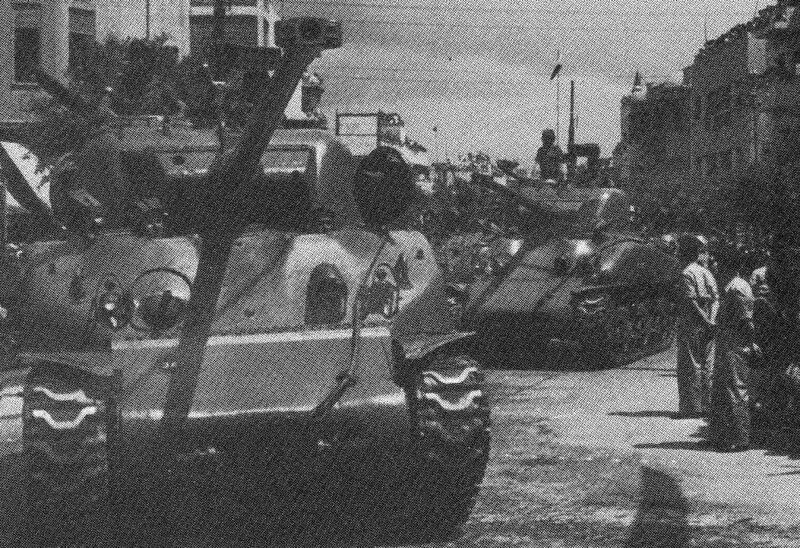 The 2nd batch was more varied than the inital batch (which were almost all M4A4(T) hulls) batch 2 included M4A4(t), M4, M4hybrid, welded hull 47deg hull types and cast hulled M4A1 of various styles and ages -by the 1967 war many M50s had be futher updated to a similar standard to the M51 with HVSS and very limited numbers with the 460 Cummins by 1973 almost all remaining Sherman gun tanks had the Cummins. 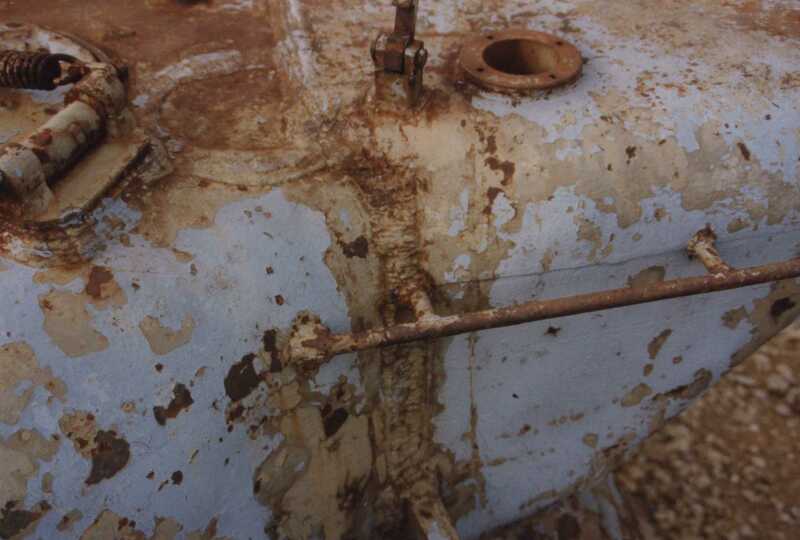 The Eden Camp tank has all the normal attributes of a multi refurbished Sherman V M50 converson. 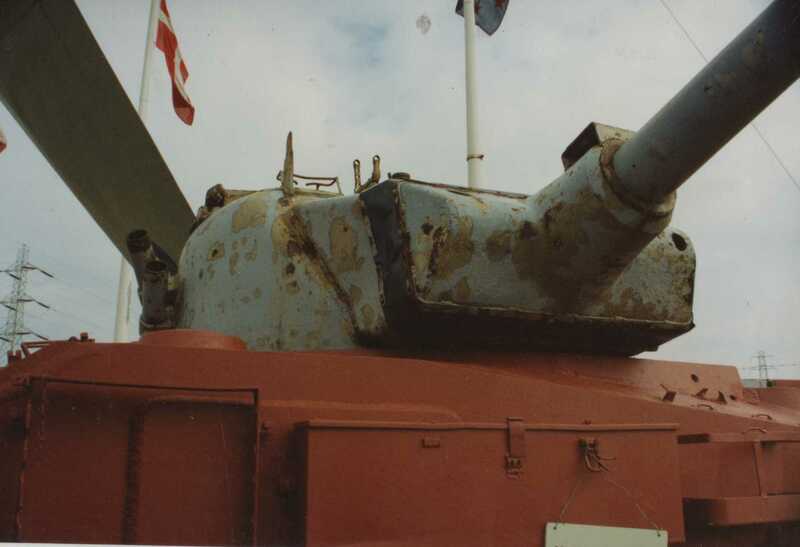 A none re-enforced (early model) without applique turret. 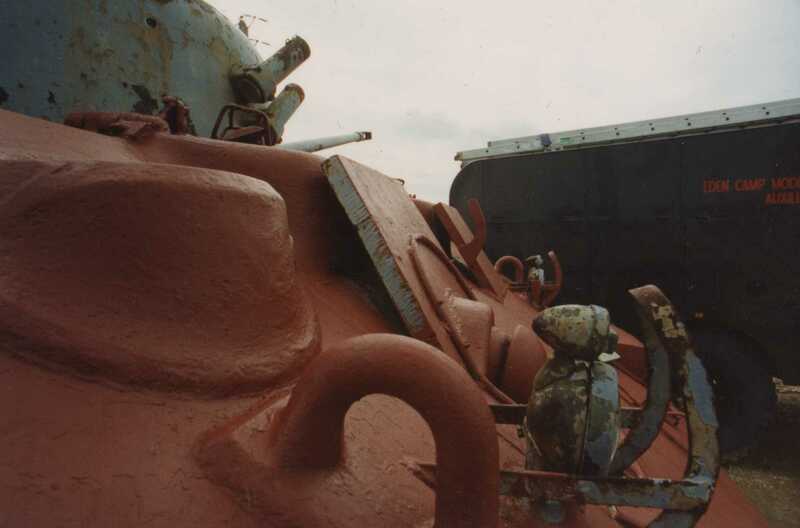 In practice there is no guarentee the turret and the hull are an original match as tanks are known to be cobbled together during the refurb. 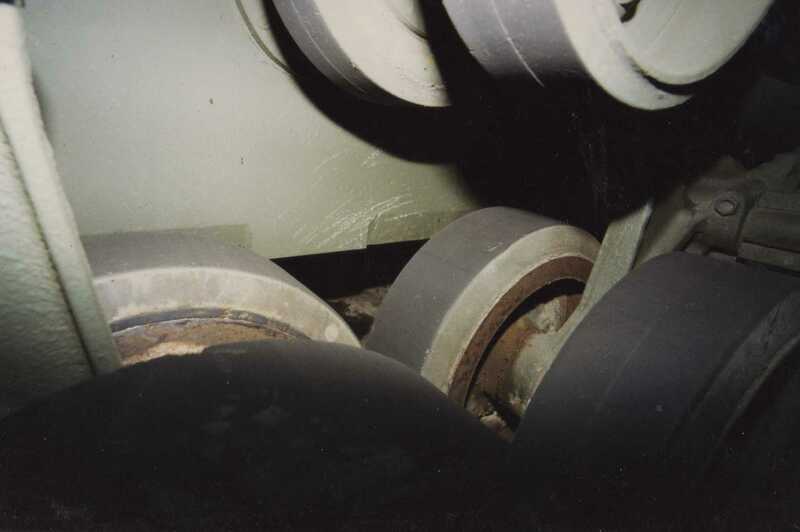 The drivers -co drivers hoods were fitted with applique at a later date than the sponson applique -in this case they are cut from old Sherman hull parts- the filled bogie bolt holes can be decerned. The sponson applique could be factory fitted or a wartime kit -its hard to tell it's a bit rough but better than some. It had a Firefly turret and a French main gun, which was a development of the German 75mm KwK42 L/70 originally fitted to Panther tanks. 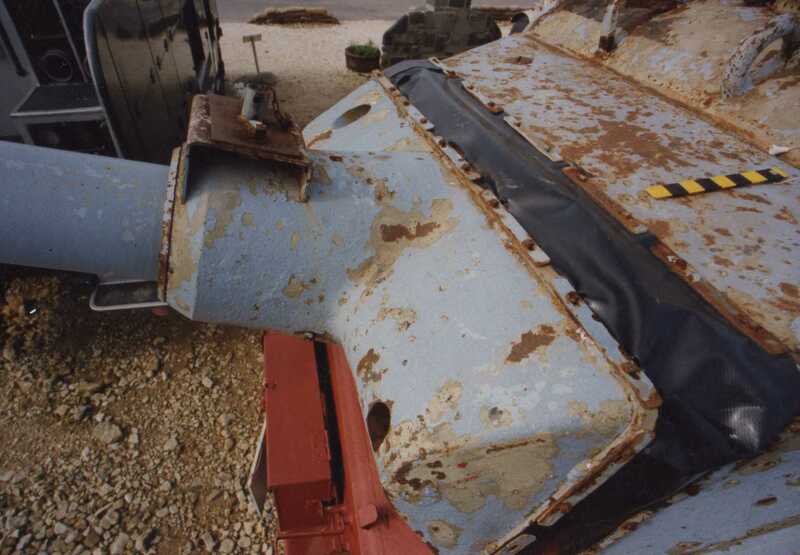 The turret is not a Firefly turret- the Israeli had only one and it was retained for tests and despite stories that the Israelis used M10c is also debatable -there is no photographic evidence for this. 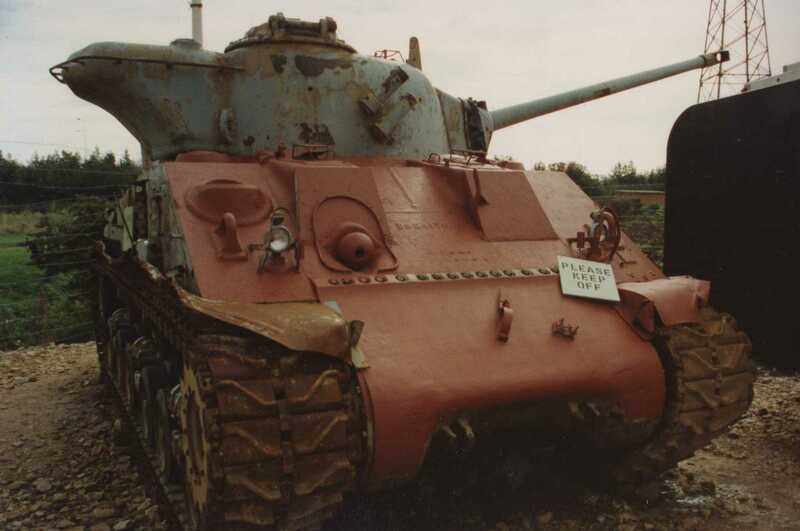 Why the CN 75 N was fitted as it was is not really that apparent, the similar but later Argentinian Firefly conversion and the Indian Sherman V CN 75 N conversion retained the Sherman style mantlet shield. 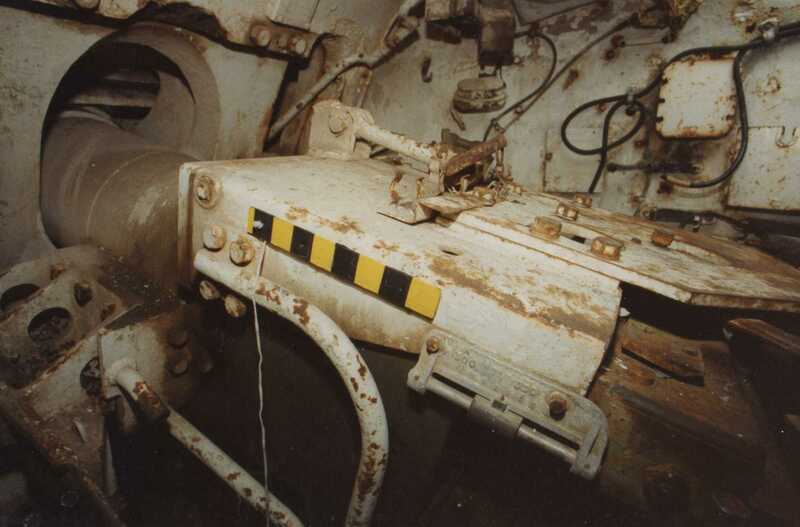 It used an under barrel recoil system similar to that later used in the M51. loaders hatch note welding of hatch fitting -loaders hatches were not original kit. 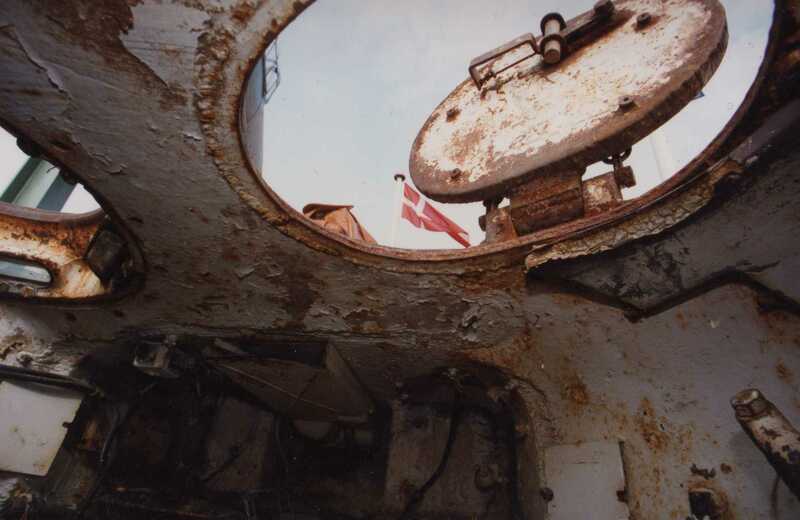 On Israeli modified HVSS there is a rough chamfer on the inside edge of hull for clearance. US factory built the chamfer is finely machined this is an M74 TRV. The standard ex M4A4 type with radial engine as used in Nov. 1956 war. 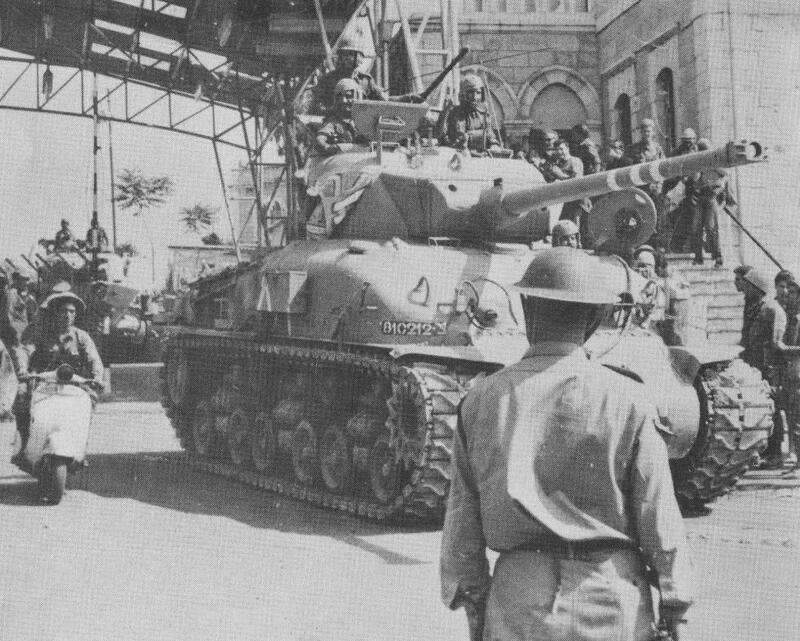 A 1957 or 58 Independence day parade probably Tel Aviv showing a M4 hybrid hulled M50 still on 16inch track followed by a M50 on a M4A1 75 again original configuration on track. Waiting for a bus can be dangerous in the Holy land. An M50 HVSS based on a late model Sherman hull with the 47degree hull there is a group photo showing an M50 like this one but refitted with an earlier three piece transmission cover. Thanks for the replies Gents. Its quite amazing how they evolved. Until the other day, I would never have guessed that they had ever been the same version. Looking closely, I see that it has the late i piece transmission housing, and were the later suspension units a straight bolt on, or require lots of enginering. Steve, thanks for the photos, including the interior shots. 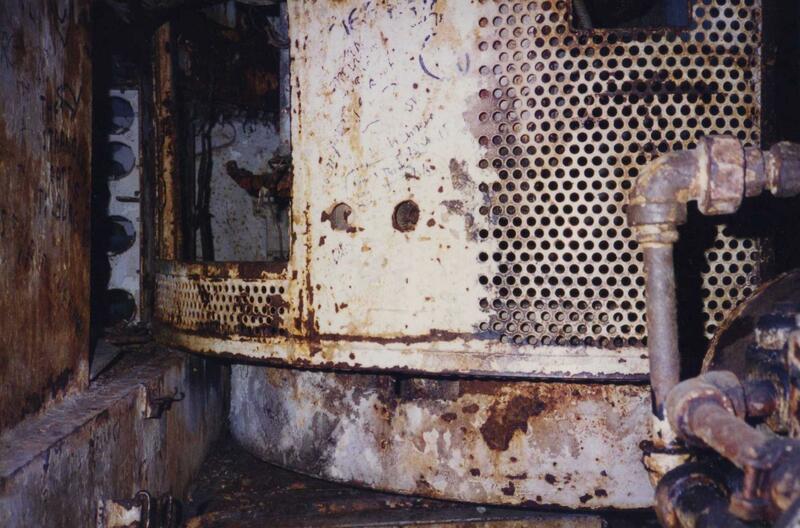 You were obviously lucky enough to gain access to this interesting machine. 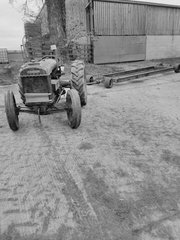 I would love to see it restored as a British machine, perhaps 4/7 Royal Dragoons given its location, but it will have been an M50 for much longer than it was an M4A4. I would just like to see more British Shermans around. Did Adrian say that one had been reverse engineered, and if so is he allowed to give details? I see that it has the late i piece transmission housing, and were the later suspension units a straight bolt on, or require lots of enginering. 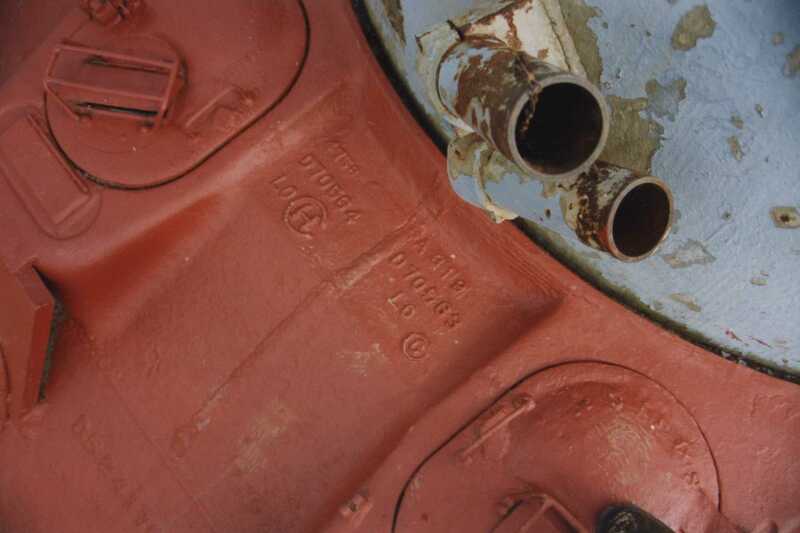 The transmission housings are straight fixes -the single piece has advantages over the 3 piece in field maintenance as the components are pre-alligned so it would be unlikely given the oppertunity to have a 3 piece fitted to a tank in wartime if a single piece was available. Suspension units are pretty similar I think it 16 bolts per bogie 4 horizontal into the floor and 5 each side into the walls 2 extra at the top, however replacement of VVSS and HVSS suspension can only really done in a factory as the return roller fittings have to drilled and the chamfer machined. 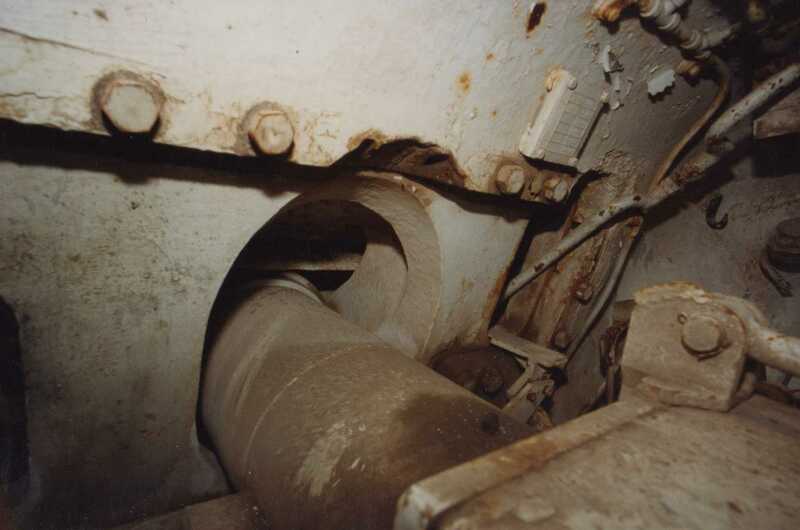 the older M3 type bogies were sometimes replaced in the field with M4 bogies on early Shermans and some M3s such as TRV M31s. 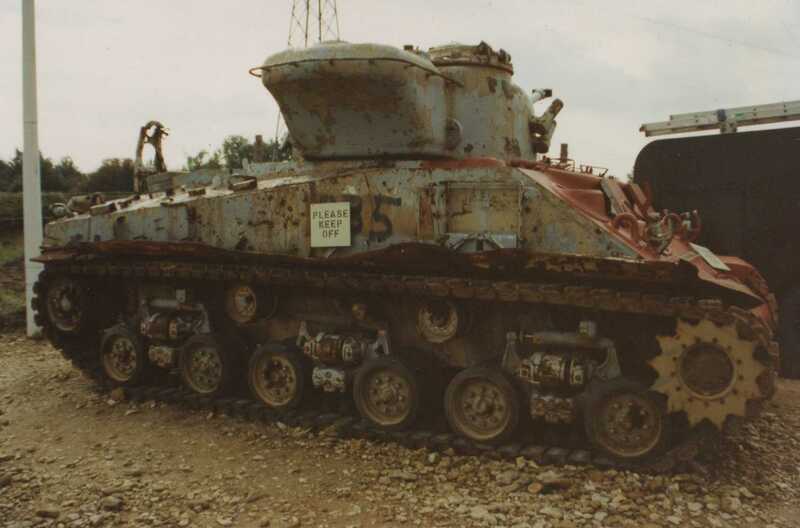 I would love to see it restored as a British machine, perhaps 4/7 Royal Dragoons given its location, but it will have been an M50 for much longer than it was an M4A4. I would just like to see more British Shermans around. There does seem to be a terrible lack of British M4s but there are propbably a few in private hands that are marked up as British vehicles- surprising at least one ex 4/7RDG service man served in the fledgling IDF armoured force too. What I tend to dislike is M50 painted with WW2 tank markings- I even prefer to see Canadian home forces markings on M4A1 Grizzlies -but obviously they often get used in WW2 movie work which is fair enough. You were obviously lucky enough to gain access to this interesting machine. If you don't ask you don't get, I asked before going down there- sometimes it's as simple as that -they were glad of the potential publicity.